I'm not going to try and change your mind; the more someone does that the more the other person tends to cling strongly to their own beliefs. I'll just say that I personally am not buying it because I don't like to support lazy business practice. I like Nintendo, and their games - but that doesn't mean that I'm just going to buy their sequel to one of my favourite games ever simply because they made it. Nintendo obviously didn't put much effort into the title, and side by side, all evidence points to the fact that the original is the better game. That's not much of a problem, as the original was an amazing game, and its difficult to live up to that, but since this new game changes almost nothing in terms of the game mechanics - there's no reason for me to want to play it; there's nothing new to experience. The DS version of Yoshi's Island also suffered in the eyes of critics - it just wasn't anywhere close to being as good as the original. However I still bought that title to try it out because it dared to try and change and improve aspects of the original. Most of the ideas didn't work out - but some of the features were very fun, such as the museum. Yoshi's Touch & Go however was one of my favourite DS games. It took the original concept of Yoshi's Island and essentially made several really fun minigames around it (an example of changes to an original game that worked well in my eyes). To everyone who hasn't already made up their mind, I would recommend picking up the GBA version (portable) of Yoshi's Island, or picking up Yoshi's Touch & Go for the DS. I'd even suggest getting Yoshi's Island DS before trying this title, but as I said - that's just my opinion. It is a fun game, it just requires a certain mind set. That is Just like Super Princess Peach. For my experience it was never challenging. But it's a novelty game so I bought it. Young Newcomers would love it because it's simple with things to do. But while I like it, it was just for collection purposes after I beat it. I went back once and was bored beyond belief lol. If this was the only yoshi platformer I would buy it. It's not. So better luck with your devs next time, Yosh. It's really sad to say this, but I was right. This is nothing more than Nintendo trying to rip-off poor naive kids. I don't understand why Nintendo gives Yoshi such horrible treatment. It wouldn't take much to develop a Yoshi game that's appealing to kids AND is a worthy sequel to the original. But giving it to a developer that obviously isn't great at making games like this one is just ridiculous. I hope the game bombs to send Nintendo the message that Yoshi deserves much better than this. I will buy this because I'm a Yoshi fan and want to personally see how the game is, but not at $40. When it gets to be $10-$20, then I'll bite. I will buy this because I'm a Yoshi fan and want to persoannly see how the game is, but not at $40. When it gets to be $10-$20, then I'll bite. I have to believe some of the old Artoon devs have blackmail on Iwata or something, that's the only explanation at this point. The only truly terrible thing about this game is the bosses. And trying 100% this game seems next to impossible as everything seems very well hidden. Oh well, at least I got 100% on the original and that's what counts. Yoshi's new island is okay if you're a 5 year old kid with OCD. I'd rather play Mass Effect. @DefHalan I really love it too! And I have very little experience (that I remember) with the other Yoshi games, and was bored by what I do remember. Maybe that could be it. Lots of the reviews are just saying "play the original," when maybe some of us don't really want to! I'm glad I didn't listen to the reviews this one time. I also don't understand the hate for the music. Sure, certain people could not be caught playing it on the subway, but then there's stuff like 1-S. Maybe not a born classic, but smooth! i love this game. and am glad i bought it. i like reading reviews but i don't let them influence me in anyway unless it's a game i don't think i want and then i read a review & decide to give it a try. but honestly all a review is a person's (the reviewer's) opinion on a game or movie and half of the time i find that i like games or movies that don't get a good review. i buy games and movies because i want to enjoy them for what they are, a distraction. Yoshi's New Island is probably not going to win game of the year but it's my kind of game and to me that's all that matters. 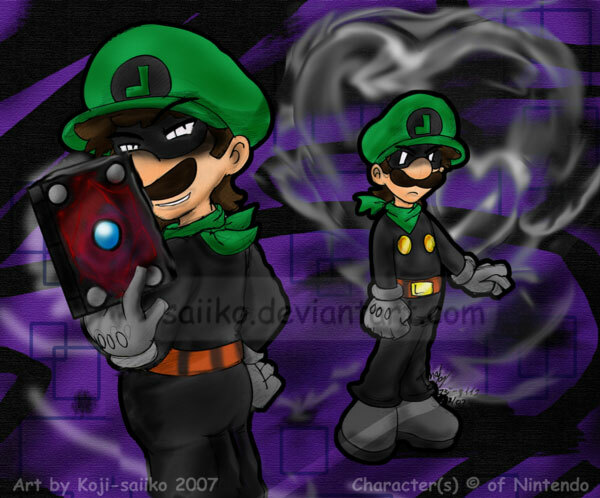 Want: Mario Party Top 100, Atlus games, Psychic Spectres for the 3DS. For the Switch Kirby Star Allies, Yoshi and many others. Now playing Stories, Crystal and Ultra Sun. I haven't got the game yet, but I have seen plenty of first run walkthroughs on YouTube and it looks like a blast! I read the reviews it gets like a 7-8 out of 10 and the occasional under 7; but I think people are comparing it to much to the original or expecting to much out of it. It seems like a lot of fun and that is how I buy my games If I am going to have fun with it I will buy it! People complain about the endboss, wich isn't great and is very easy! But heh, this game doesn't have really good bosses! And Yoshi's island didn't have great bosses either! Besides the bosses are all of the "3 hits and your out" nature also found in the Mario titles! I hate that! People also complain about the Donkey kong tropical freeze bosses being to long, but those are actually proper boss fights where you have to hit the boss many times! That's how it should be!! But back to Yoshi: The gameplay is fun but doesn't contain really new things! And the level-designs aren't as great as in the original! Also, the game is terribly easy, though getting 100% on every level may be a challenge (I only got it so far on a few levels)! The music isn't bad at all, its just that there isn't much variety (its almost all remixes of the main-tune)! The graphics are much better then many reviewers think! The controls feel better then they where in Yoshi's island DS! And the game doesn't have really out of place characters in it, like Yoshi's island DS! The transformation minigames from New island work fine and are fun, though they are not edge of the seat! Put shortly: Yoshi's island DS is harder and does have some cool new ideas, but New island has the better controls! I still think New island isn't that bad to spend some time with, though maybe you better wait for a price-cut! And Yoshi's island didn't have great bosses either! A very very very very very VEEERY bad liar. You're so much of a liar, your pants are on fire. Oh dear, oh dear!!! I MEANT THE BOSSES OF YOSHI'S ISLAND DS!!!! THE ORIGINAL YOSHI'S ISLAND WAS PERFECT IN EVERY SENSE!!! Yoshi's Island DS at least had that boss you fought in free fall, which was pretty cool. Yoshi's New Island apparently doesn't even have ONE cool boss. Let me get this straight: those who don't have the game / never going to try it, stating opinions versus the folks actually enjoying the game. Well you can guess which side I will stick with, for the sake of humanity. Yoshi means different things to different people, and coming in with no prior experience affords the greatest chance to see the joy of the game based on its own merits. There were bosses in this tripe? I could have sworn I fought six giant enemies with rapidly decreasing challenge and rehashing the final boss of Yoshi's Island not one, but two times... Must be the eggs. Or a rotten game. Quick question: i noticed the game checks off the stars, red coins, and flowers at the end of each level if you complete at least one of them. So if I get all red coins this try, I don't need to recollect them in my next try when attempting to get all stars and flowers to get a 100%?